This is the next post in my series on the handling of emergency requests to change child custody in Las Vegas, Nevada. 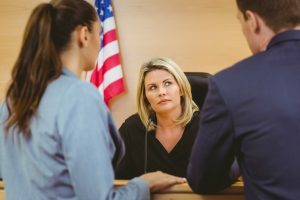 My last article discussed what one should expect at the initial hearing on a Motion to modify custody. It is important to understand that the Judge’s ruling at the initial hearing is often not the final word on the matter and that a trial will be held at which the Court will issue its final order. In this article I will discuss the important process of discovery. If you need assistance then call my office today to speak with an attorney. I have previously discussed the use of discovery in child custody cases which involve drug use. Many of the same concepts apply in emergency custody proceedings. Discovery, the process by which information is obtained from the other side in litigation, provides many tools for acquiring evidence. These tools include the ability to require written answers to written questions, the ability to acquire records, documents, or other tangible items, and the ability to question the opposing party while they are under oath and in the presence of a court reporter. Each of these tools are crucial to establishing your case. There are several ways in which discovery can be used to gain valuable evidence. Say, for example, that you are claiming that your ex is leaving a young child home alone at night. There would often be no witnesses to such conduct. By acquiring your ex’s banking records, however, you may be able to show that they are making late night withdrawals at a time when they were supposedly at home watching the child. Also, their phone and social media records may provide information which is useful to proving your case. It is important to understand that discovery is crucial to these types of matters. Contrary to what is often shown on television, trials are not won with “surprise” evidence which is unveiled at the last minute. Instead cases are won by methodically accumulating evidence, through the discovery process, and then presenting that evidence at trial. This is just one reason why it is important for your lawyer to begin the process immediately after the initial hearing on your Motion. Failing to promptly begin this process may result in your not having evidence which is needed to prove your case at trial. If you require assistance then contact my office today to speak with a Las Vegas child custody lawyer. I have extensive experience in handling such matters and we are ready to assist you.